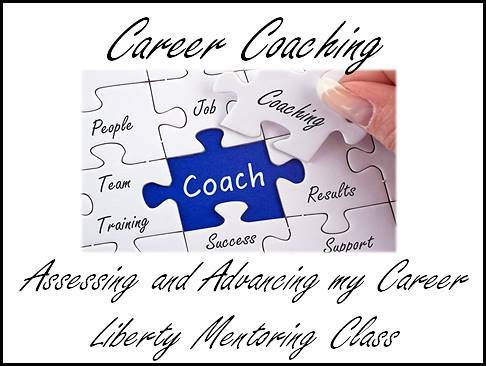 This 7 week class helps you to “Assess and Advance” in your career and provides teammates and mentors. Because we provide our top business mentors we limit the class to 48 people. We often have twice that many applicants. We have to give preference to Liberty Church members but also permit visitors to be a part of the class when spots are available. In this class, you will gain networking and shadowing wisdom, strategies for starting a business, switching careers and how to evaluate all factors accurately. You will also be given tremendous resources and connections. You will have two close teammates assigned to walk with you each week along with one mentor. To be a part of this class, each applicant first listens to the three sermon series titled Money Matters. If listening to this series fascinates you, then the class will be a dream come true for you. The class takes place every fall in the months of September and October.